FAQ: I have been a Christian for many years, and have frequently shared the Word I know with other Christians. When I sensed that they were not basing their beliefs on the written Word of God, I called them back to it as the only standard for faith and practice. 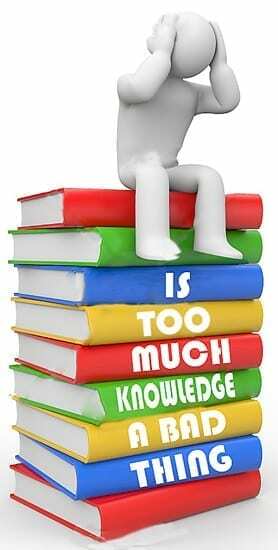 Far more often than I ever would have expected, they have thrown at me the phrase in 1 Corinthians 8:1 (KJV): “Knowledge puffeth up,” as if I am somehow conceited because I have too much knowledge of the Word. What does that phrase mean? First of all, many verses of Scripture speak of the great value of knowledge, and encourage us to go to great lengths to obtain it, so how could too much knowledge of the truth be a bad thing? Furthermore, well-known men and women of God through the ages have had great knowledge, and that was always commendable. Also, knowledge and humility are not mutually exclusive. Moses, for example, was both very wise and very meek (Num. 12:3 – KJV). The key to understanding the phrase, “Knowledge puffs up,” is the context. When we study the context of 1 Corinthians 8:1, we will clearly see that Paul is in no way making a blanket statement that too much biblical knowledge makes one conceited. He is specifically addressing the Corinthian Christians who were wrongly relating to the knowledge they had, and by so doing badly hurting other believers in the church there. It is true that there are some things we will not know until the Lord appears, but they need not be things in God’s Word. If the Word really does contain “…all things that pertain to life and godliness…” (2 Pet. 1:3 – NKJV), then surely God gave it to us to understand—all of it. The common misconception that “God is mysterious and unknowable” is not what He tells us in His Word. In fact, He repeatedly encourages us to know Him, that is, to have knowledge about Him and how He wants to intimately relate to us. It is God Himself who says that we can know everything that He has revealed to us in His Word (Deut. 29:29). Actually, a question like, “Who has a lock on all truth?” distracts us from the question that should be asked. The fact that no one knows all the truth has nothing to do with the real issue, which is: “What does the Word of God say?” God has given us Genesis through Revelation, “…the purposes of his heart through all generations” (Ps. 33:11), so we can understand it. Learning God’s Word is not like trying to pick up an ever-increasing amount of liquid mercury. Biblical truth (Genesis 1:1 to Revelation 22:21) is fixed in both meaning and amount. One can learn it and stay put on it, confident that its bedrock foundation will not shift. Are there new facets of truth to discover in sections of the Word we already know? Absolutely, because whatever God does is exquisitely variegated, but the facets and nuances do not invalidate the core truth. So, using the correct linguistic and hermeneutical “utensils,” we keep biting off and digesting truth, and slowly but surely the amount left on the table shrinks. The sad fact is that most Christians have never been taught how to study the Bible for themselves, and therefore do not really do so. They do not know how to apply the keys to the Word’s interpretation, and so most of its treasures remain locked away from them. Teach me good judgment and knowledge, For I believe Your commandments. (5) Then you will understand the fear of the Lord, And find the knowledge of God. While there are many more verses lauding knowledge than those we quoted above, enough has been said to make the point. True spiritual knowledge is indispensable. Now let’s go to 1 Corinthians and examine in its context the innocent phrase that some people have made into a culprit. (1) Now concerning things offered to idols: We know that we all have knowledge. Knowledge puffs up, but love edifies. (2) And if anyone thinks that he knows anything, he knows nothing yet as he ought to know. (3) But if anyone loves God, this one is known by Him. (4) Therefore concerning the eating of things offered to idols, we know that an idol is nothing in the world, and that there is no other God but one. (6) yet for us there is one God, the Father, of whom are all things, and we for Him; and one Lord Jesus Christ, through whom are all things, and through whom we live. (7) However, there is not in everyone that knowledge; for some, with consciousness of the idol, until now eat it as a thing offered to an idol; and their conscience, being weak, is defiled. (8) But food does not commend us to God; for neither if we eat are we the better, nor if we do not eat are we the worse. (9) But beware lest somehow this liberty of yours become a stumbling block to those who are weak. (10) For if anyone sees you who have knowledge eating in an idol’s temple, will not the conscience of him who is weak be emboldened to eat those things offered to idols? (11) And because of your knowledge shall the weak brother perish, for whom Christ died? (12) But when you thus sin against the brethren, and wound their weak conscience, you sin against Christ. (13) Therefore, if food makes my brother stumble, I will never again eat meat, lest I make my brother stumble (see also 1 Cor. 6:12 and 13a). In order to understand these verses, we must keep in mind that the overall tone of 1 Corinthians is one of reproof. The believers in Corinth were in error on many things, and the church there was fraught with quarreling and division. Virtually every chapter brings up another subject about which they were in error, and some of it definitely had to do with their egotistical, “one-upsmanship” attitude, like going to court against one another (6:1ff). Furthermore, they were not concerned about their differences, and in fact used them against one another to prove one’s superiority over another. That pride prompted the Lord (via Paul) to use irony to point out how ridiculous their attitude was: “No doubt there have to be differences among you to show which of you have God’s approval” (11:19). Verse 1 of Chapter 8 introduces the subject of meat offered to idols, about which Paul says, in essence: “Hey, don’t think you have a corner on truth—we all know about idols.” It was the Corinthians who were puffed up about their knowledge. What knowledge? Verse 4 tells us: “an idol is nothing,” etc. In their arrogance, they used that knowledge to justify eating meat that had been offered to idols, which would be perfectly fine, except that they did it in front of “weaker” brethren who did not know it was okay (v. 7), and therefore caused them to “perish” (v. 11 – NKJV), which in this context means that the quality of their Christian lives was severely lessened because their relationship with God was tainted by misplaced guilt. It’s the same thing as “making them stumble” (v. 13 – NKJV). Paul’s point is one that we too should well take. It is that if we wrongly relate to the truth we know (the knowledge we have), we can hurt other people. Too often Christians have used truth to bludgeon people rather than lovingly trying to raise them up to be able to receive it. In Corinth, the more knowledgeable saints were “pigging out” with no concern for their less knowledgeable brethren, and badly wounding their weak consciences. Therefore, Paul strongly admonishes the Corinthians, saying that they were sinning against Christ. He was in no way making a general statement that too much knowledge puffs up a believer. In the structure of the Church Epistles, the letters to the Corinthians are reproof, correcting their failure to practice the doctrine of Romans. Consequently, we find many similarities in Romans and Corinthians. For example, consider the following excerpts from Romans 14 and 15, where Paul addresses an issue much like that which he wrote to the Corinthians about. Knowledge of the truth is not to be used to hurt others; it is to be put into practice to accept people, bear their weaknesses, and build them up. (1) Now accept the one who is weak in faith, but not for the purpose of passing judgment on his opinions. (2) One man has faith that he may eat all things [Whoa, hide the cat! ], but he who is weak eats vegetables only. (3) Let not him who eats regard with contempt him who does not eat, and let not him who does not eat judge him who eats, for God has accepted him. (4) Who are you to judge the servant of another? To his own master he stands or falls; and stand he will, for the Lord is able to make him stand. (5) One man regards one day above another, another regards every day alike. Let each man be fully convinced in his own mind. (6) He who observes the day, observes it for the Lord, and he who eats, does so for the Lord, for he gives thanks to God; and he who eats not, for the Lord he does not eat, and gives thanks to God. (13) Therefore let us not judge one another anymore, but rather determine this—not to put an obstacle or a stumbling block in a brother’s way. (15) For if because of food your brother is hurt, you are no longer walking according to love. Do not destroy with your food him for whom Christ died. (19) So then let us pursue the things which make for peace and the building up of one another. (1) Now we who are strong ought to bear the weaknesses of those without strength and not just please ourselves. (2) Let each of us please his neighbor for his good, to his edification. As always, Jesus Christ has provided us with the perfectly balanced example of someone both knowing every “jot and tittle” (i.e., the minutest details) of the Word of God, and applying his knowledge to love the people in his world. Jesus was confident in his identity and purpose, which he based upon his knowledge of the written Word of God, which at that time was the Old Testament. As the living Word, Jesus flawlessly personified both truth and love. That is, he showed both the propositional and relational aspects of truth. In John 17:17 (NKJV), Jesus said to God: “Your word is truth” (propositional). In John 14:6, he said, “I am the truth” (relational). First, Jesus had to learn the truth, that is, get knowledge. Then by loving those around him, even those who persecuted him, he perfectly practiced the doctrine he believed. Truth practiced is love. As 1 John 2:5 says: “But if anyone obeys his word, God’s love is truly made complete in him. This is how we know we are in him.” No one can obey the Word if he does not know it. The Apostle Paul stands out as another sterling example of exemplifying the truth–love connection, which God meant to be inseparable. It is he who wrote the famous words: “And though I…understand all mysteries and all knowledge,…but have not love, I am nothing” (1 Cor. 13:2 – NKJV). Paul related to the truth he knew by recognizing the awesome blessing it was to have been “…entrusted with the secret things of God” (1 Cor. 4:1). As he wrote to the puffed up Corinthians: “For who regards you as superior? And what do you have that you did not receive? But if you did receive it, why do you boast as if you had not received it?” (1 Cor. 4:7 – NASB). Paul made his knowledge of the truth a catalyst for being true, in word and deed. Let us do likewise.